This Philharmonic program was startling and exciting to the finish. The hall was packed with music lovers of all ages. The young are out in droves for music full of narrative potential. A symphonic tone poem, familiar Brahms full of surprising and moving contrasts, and a young conductor whose pure joy in making music is conveyed in every accordion contraction and release of his body. Nelsons' long arms reach high, and then tuck into a crouch. Music often whispers so you pay particular attention because you want to. 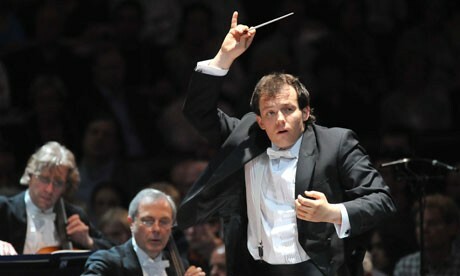 Andris Nelsons, who helms the Birmingham Symphony in England, is everywhere these days. He can pick and choose his venues, but the big, tantalizing question is Boston. He conducted there last week and early this week and reports that the acoustics in Symphony Hall are superb. Members of the BSO do not hide their enthusiasm for this thoroughly musical young man. The Philharmonic also responds to his clear sense of phrasing and detail. Problems with the Avery Fisher acoustics still have not been solved, but the Philharmonic soldiers on. In Dvorak’s boogeyman Symphonic Poem, The Noon Witch, Nelsons colored phrases distinctively, from the child at play to the mother’s concern, and then the arrival of the real witch, which prompts the mother to smother the child in fear. The Nelson palette has no end of colors. 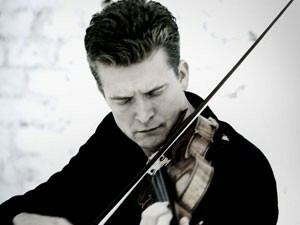 Christian Tetzlaff joined the evening for a thrilling performance of the Brahms Violin Concerto in D Major. His eyes closed for the entire performance, he dared to be almost soundless, he dared to sound rough and tough, as well as perfectly beautiful. In the olden days at Juilliard, Rosina Lhevinne and Adele Marcus fought about the beauty of music versus music ugly, as it is written and should be heard. Tetzlaff bravely suggests that Brahms is not simply beautiful. He is able to tell a full, rich story. The concept works and makes a warhorse as fresh as tomorrow. The conductor and soloist worked so closely together that their bow and baton sometimes appear to cross like musical warriors parrying. Visceral and precise, Nelsons’ specificity cuts through the passion. Phrasing carefully detailed makes you listen harder, and does not let the beauty of the line get away: Striking chords and cacophonous percussion, including a splendid splash from a brush going across a drum head, erupt in the Bartok. Nelsons digs deep, you can feel it in his hunched body that spring to life at high points, and watch it bend forward and low when pianissimos can barely be heard. You press forward in your seat not to miss a moment. Fortunately Nelsons holds some musical moments as his hands square off as though they were framing a still photograph. Nelsons is both an active volcano and a small boy admiring a tiny starfish in the sand. Although the Bartok is harsher in the hands of Solti, Nelsons’ poetry suited the piece well. It was also fun, those references to Shostakovich and the folk bands in town squares in this native country trip along. What a bash this piece is, hardly something you would expect from an 87 pound man. Bartok was destitute and dying when Boston’s Koussevitzky came to him with a commission for this piece, one of the great works of the 20th century. Nelsons gave a commanding rendition of the composition. Mark down July 27th at Tanglewood when Nelsons conducts the Verdi Requiem with his wife, Kristine Opolais, the new “it” diva, singing soprano.